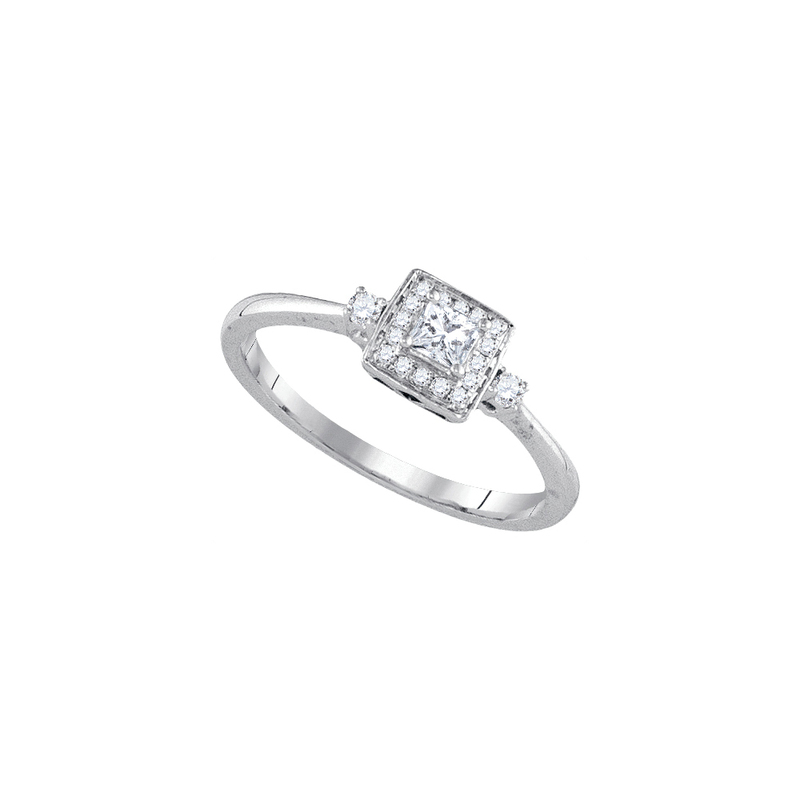 PRODUCT DESCRIPTION: 14kt White Gold Womens Princess Diamond Solitaire Bridal Wedding Engagement Ring 1/4 Cttw Product Specification Gold Purity Color14kt White GoldDiamond Carat1/4 Ct.t.w. 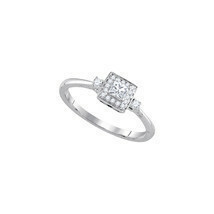 --- 1/6 carat center solitaire Diamond Clarity / ColorI1-I2 / H-I Ring Size7Gram Weight2.03 grams (approx.) StyleSolitaires Item NumberGND-92833 Combined diamond weight of 1/4 carats total weight represents a range of 0.23 - 0.29 cts. t.w. Photos enlarged to show detail.